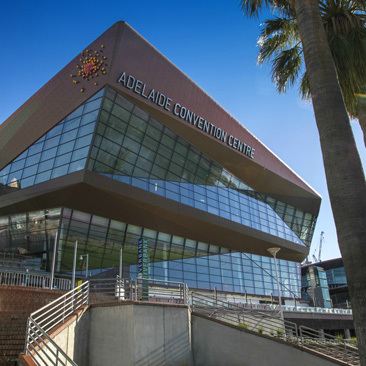 The Adelaide Convention Centre ACC celebrated 30 years in operation in 2017 with the opening of the last phase of its expansion, the East Building, designed by architects Woods Bagot. The building is faceted like rocks and clad in elZinc® Rainbow Red to reflect the South Australian landscape. 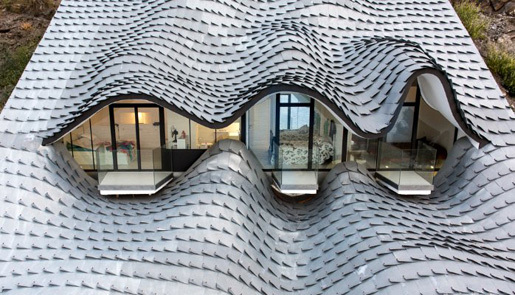 To minimize loss of income and interruptions originating from the impact of building works on the original building, the extension was designed in two phases. The recently opened East Building of the Adelaide Convention Centre is the work of Woods Bagot architects, who describe it as “one of the world’s most adaptable and dynamic meeting spaces, entirely connected to the city it serves”. This project represents a new generation of Convention Centres which capitalise on Woods Bagot’s multi-sector expertise blurring boundaries between workplace, hospitality and education.